RV Tire Safety: What valve should you use? We have discussed valves previously but this time I want to give you some facts and numbers to help you buy the correct valve for your application. Basically there are two criteria you have to get right. The size hole in the wheel and the cold pressure spec for the tire inflation. For passenger and light truck wheels that use the standard "snap-in" rubber valves, you will usually find them to be either 0.445 to 0.461" or 0.618 to 0.633" dia hole. There is also a maximum metal thickness of 0.156" at the hole. Some aluminum wheels have special step machining to cut the thickness down to the proper dimension. Most steel wheels do not have this problem as they are thinner than 0.156" and run closer to 0.070". These "snap-in" have a 65 psi max spec and carry part numbers such as TR412, 413, 414, 418, 423 and the large dia. TR415 & 425. The difference is the total length which runs from 0.88 to 2.00 outside the rim surface. Note. some have chrome covers but are still basically the same rubber valve under the thin cover. Do not be mislead into thinking these chrome valves are like the bolt in metal valves. Look for the TR number. and you can order valves from them. 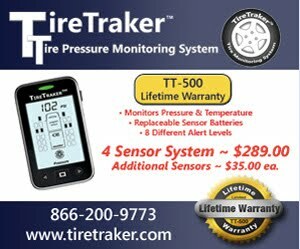 I have a TPMS or on any RV. The next group of valves are bolt-in metal and are rated for 200 psi. Now these are designed to fit the same wheel hold dimensions as the above passenger & light truck wheels. Some of these will come with two different size grommets so you can fit either diameter hole. Just be sure you get the correct grommet. You will probably find these on new larger pickups . Your application will probably depend more on your wheels that the selection for small trailers and other vehicles with 16" or smaller dia wheels. When you discuss buying valves you should have your wheel information available. Now remember if you have aluminum wheels you may need special valves. The valves should use tire mounting lube on the grommets when installing. You should replace the rubber valves or rubber grommets whenever you change tires. I would squirt each valve with Windex or some spray cleaner and confirm it does not wiggle in the hole at least once or twice a year to ensure the nut is not loose and the grommet is still sealing properly. Valves are only a couple bucks each so it is false economy to not replace them every time a tire is dismounted. Always use metal caps or TPMS sensors on the end of your valve stems to keep dirt of the core. If you have a lot of dirt or mud on the valve wash it off before removing the cap or TPMS..
Wow! thanks so much! I didn't know you had to change the valves everytime you changed your tires! You just blew my mind! The intent of that advice was to get people to realize that the rubber seals in their valves age just as the rubber in their tire ages. As rubber ages it gets less flexible which can increase the possibility for small air leak to occur. Replacing the rubber valve or rubber parts of the valve whenever you replace a tire eliminates the need to track the age of the valves.